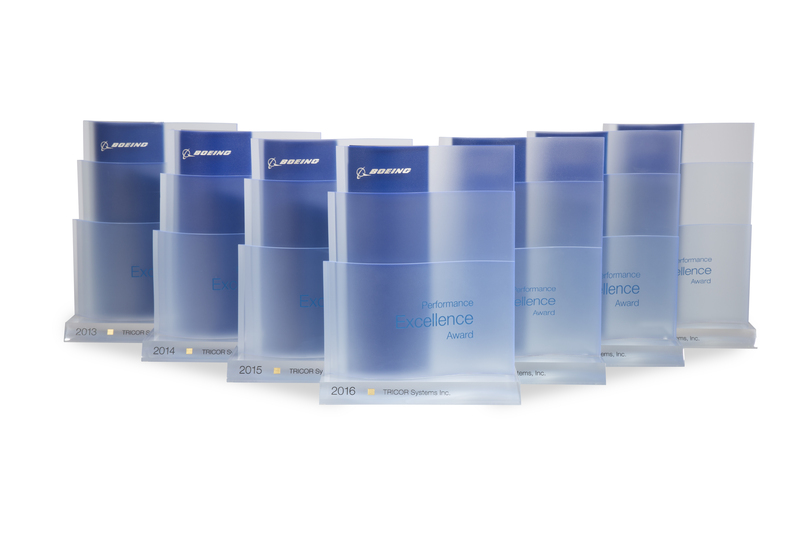 TRICOR Systems Inc, once again achieved Gold Status Performance Excellence Award from Boeing and for the third consecutive year has been nominated for supplier of the year. “Achieving this award for the seventh consecutive year proves that quality and on-time delivery is not what TRICOR does every now and then but what we do consistently." 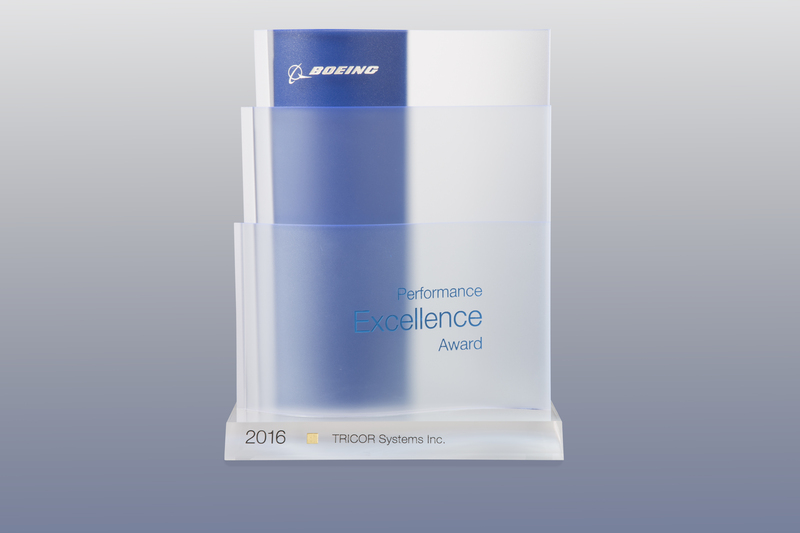 TRICOR Systems Inc. announced today that for the 7th consecutive year it has received the prestigious 2016 Gold Boeing Performance Excellence Award. 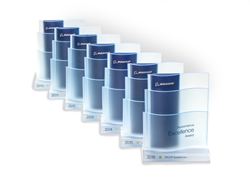 The Boeing Company issues this award annually to recognize suppliers who have achieved superior performance. TRICOR maintained a GOLD composite performance rating (100% in both quality and delivery) for each month of the 12-month performance period, from October 1, 2015 to September 30, 2016. TRICOR was one of only 78 suppliers worldwide to receive the Gold level of recognition from Boeing. TRICOR has also been nominated for 3rd year in a row for Supplier of the Year! “Achieving this award for the seventh consecutive year proves that quality and on-time delivery is not what TRICOR does every now and then but what we do consistently. TRICOR’s goal is to be the preeminent supplier to all of our customers. TRICOR is committed to supplying highest-quality, on-time products to our customers in areas of: aerospace, medical, military and industrial sectors.” President Timothy Allen stated. TRICOR has been supplying ground support equipment, box builds, simulator assemblies, cable/wire harnesses and other electronic and electro-mechanical assemblies to Boeing for the V-22, F-15, F 18, MTSS and other programs since 1988. TRICOR is a small, progressive business actively involved for over 40 years in the design, development, and manufacture of military, aerospace and medical electronic equipment / instrumentation, as well as various other products including software. TRICOR's ability for a quick turn-around from product inception to delivery is what sets us apart from our competitors. TRICOR customers include many Fortune 500 companies within the aerospace, defense and medical industries. TRICOR’s current quality registrations include: AS9100, ISO9001:2008 and ISO13485:2003.